As baby boomers enter retirement and seniors encounter lifestyle changes, they're creating an enormous market with high growth potential—and it's just waiting for you! Our recession-resistant business has multiple strong profit centers to help you grow your business. Have the fun, freedom and financial security you've been looking for and gain the satisfaction of knowing you're helping your clientsrelocate, downsize or liquidate their entire household, from start to finish. 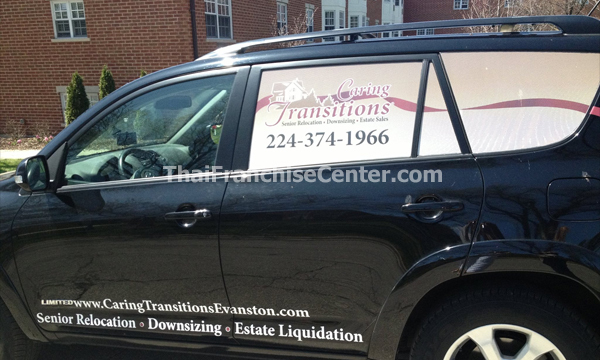 Caring Transitions is the leader and total solution for Senior Moving, Downsizing and Estate Sales, including full and partial liquidations. You'll have the comfort of knowing that our associates are compassionate, experienced professionals who are bonded and fully insured. Our services are trusted and chosen by families, attorneys, bank trustees, real estate professionals, funeral directors, and many others. With locations across the country, you can depend on us to be your advocate during a transition by keeping your best interest at heart and helping eliminate your stress. Your Total Solution: For peace of mind and minimizing stress. We’re there to help with anything, large or small, from liquidating an entire home to replacing a lost car title to simply helping sort and organize your things. Franchise fee - Cash: $36,900. Franchise fee - Financed: $42,900. No experience is required! Backed by 25 years of franchising experience and our proven system, you’ll receive comprehensive training and ongoing operational support to help you start out strong and build your business to the size you want. Our highly effective marketing and public relations programs are simply unmatched in the industry and you’ll have our exclusive CT online auctions website to help you grow your business quickly and profitably. Plus, as an owner, you can access our valuable network ofCaring Transitions Franchise Opportunity_6 strategic alliances and referral sources to help you build a highly respected and trusted business.